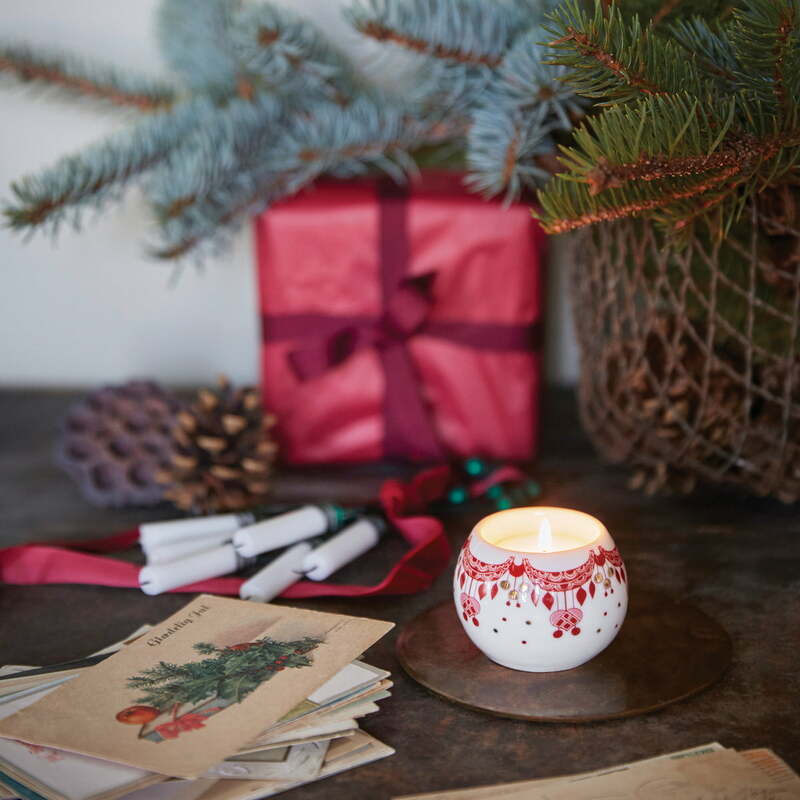 The Guirlande tealight holder by Bjørn Wiinblad complements the Guirlande Christmas tableware perfectly and becomes an eye-catcher on the festively laid Advent table or in the windowsill. The tealight holder provides a cosy warm atmosphere in the cold season, while it rains or snows outside. 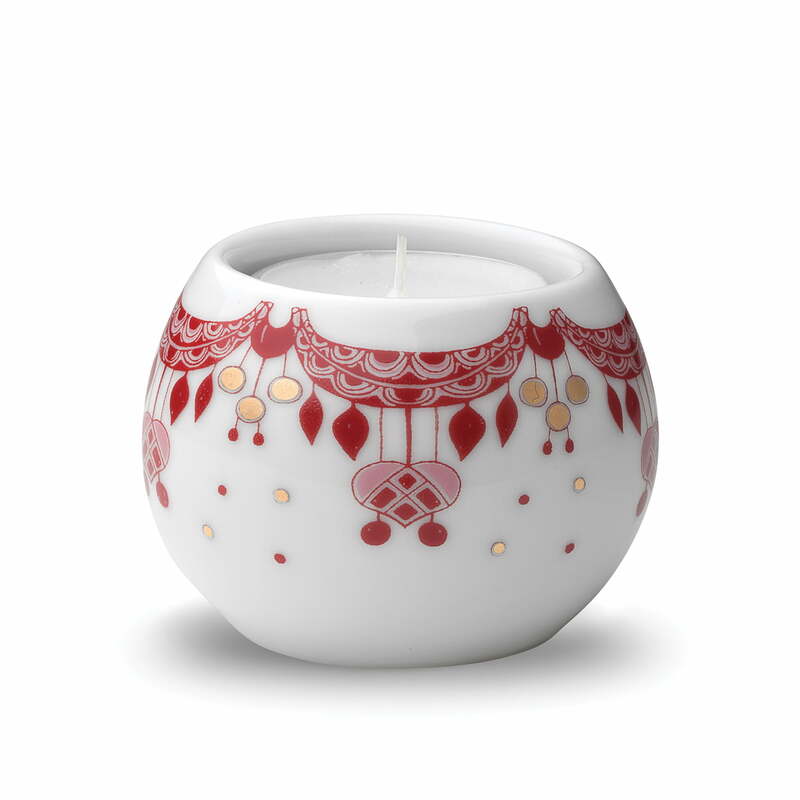 The tealight holder with a diameter of 6.5 cm is ideal for conventional tealights and is made of white porcelain. 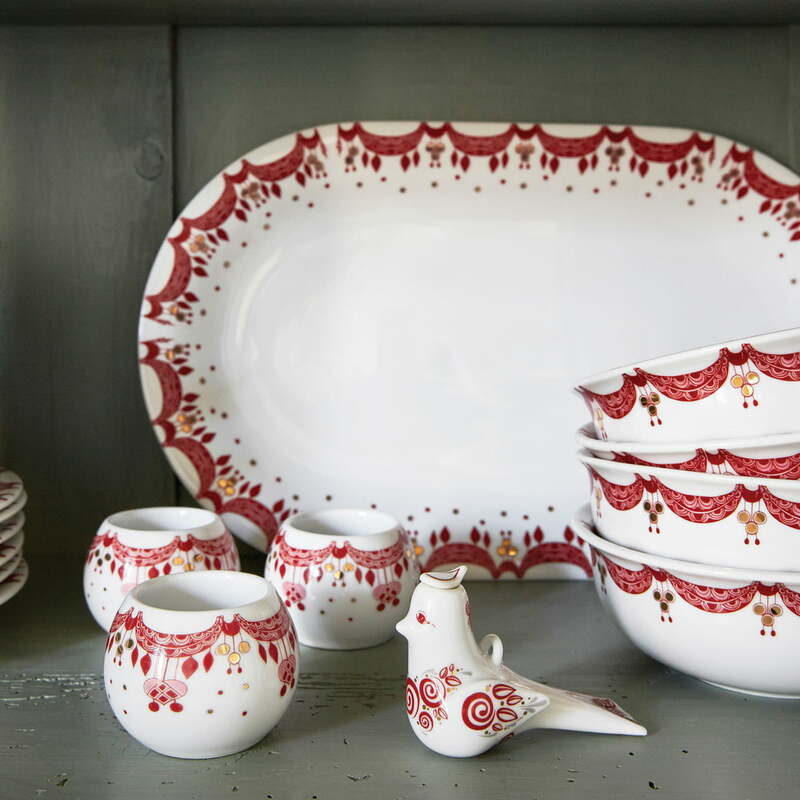 The detailed decor in red and gold is painted on the glazed porcelain by hand. Each tealight holder is therefore unique and should only be washed by hand. 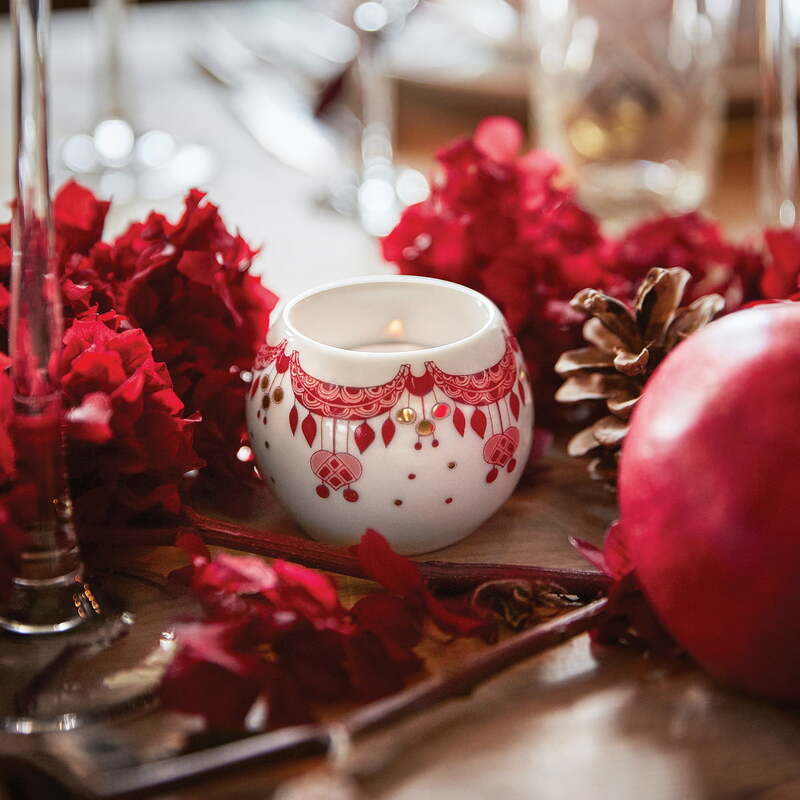 The Guirlande tealight holder by Bjørn Wiinblad complements the Guirlande Christmas tableware perfectly and becomes an eye-catcher on the festively laid Advent table or in the windowsill. The detailed decor in red and gold is painted on the glazed porcelain by hand. Each tealight holder is therefore unique and should only be washed by hand.